St Constantine and Helena is the oldest resort along the Bulgarian black sea coast. It was founded in 1908 as a balneology center. Its popularity is due to the unique combination of mountain crystal clear air, mineral springs and the sea. The resort offers numerous mineral springs, balneology complexes, open- air pool with hot mineral water famous for its healing quality. 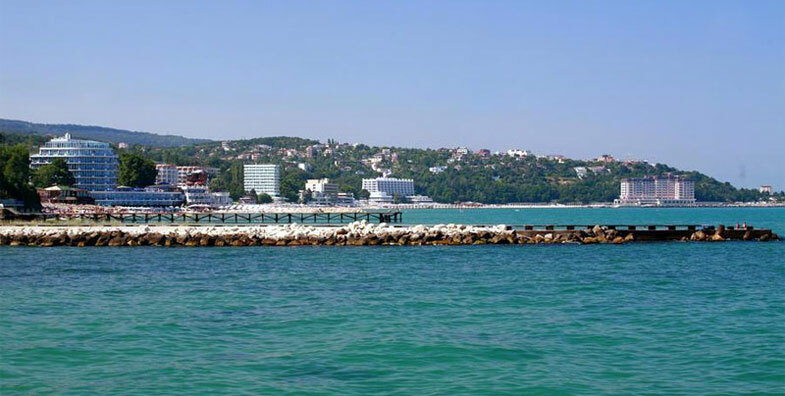 The resort is an elegant holiday destination offers comfortable hotels, dominated by Grand Hotel Varna (one of the best bulgarian sea hotels). The name of the resort comes from the nearby situates monastery "St Konstantine and Elena", which is built at the beginning of the18th century.. St Konstantin and Elena resort is a small and secluded paradise. Please read hotel reviews, promotion, bookings and choose from our hotel list the best hotel deal for your summer holidays in St. Constantine and Helena.